I find it is important to remember that this acronym refers to a process, and it is not just one technique. It is a constellation of techniques to make sure that your site, your products, and your services are seen by your target audience. As a copywriter, I specialize in SEO techniques that focus on the text of a site and, in particular, the SEO for Etsy sites. In late 2015, Etsy underwent an algorithm change that included the quality of your text. Now it is important to have your shop announcement, story, and policy page filled out in its entirety with well-researched keywords sprinkled throughout. Having this content ranks your Etsy shop as higher quality than those that do not. I can also say that having these sections filled out gives potential customers a sense of professionalism and reassurance that is absolutely crucial for establishing trust in an online marketplace. 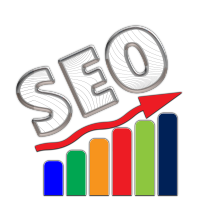 Your titles and tags should reflect keywords that have been well researched (I am a fan of Google AdWords) and mimic what customers are actually searching for. You have up to 140 characters in the title and thirteen 20 character tags. Over the course of the next several weeks, I’ll be discussing how to optimize each of these sections of text. If you have any questions or requests, feel free to post them in the comments below. ship on time, and so on. Thank you! Do you have any requests for future topics?